Maintaining high water intake reduces kidney stone recurrence, but is difficult to do. Strategies to reduce stone recurrence among adolescents are lacking. We conducted an ecological momentary assessment study to identify factors associated with water intake among 25 adolescents with nephrolithiasis. Over 7-days, participants used smart bottles to self-monitor water intake and received questionnaires randomly four times daily that were completed in real-time on mobile devices. The questionnaires ascertained awareness of water intake volume, awareness of water intake goals, perceived need to drink, access to water, alternative beverage consumption, and attitudes towards bathrooms. Linear mixed-effects models were fit to estimate the association between momentary responses and daily water intake. Over 175 person-days, 595 (85%) assessments were completed. Median daily water intake was 1304mL (IQR 848-1832); 20% of participants met their intake goal for ≥4 days. Unawareness of water intake volume was associated with drinking 690mL less water a day (p=0.04). A strong self-perceived need to drink more was associated with drinking 1954 mL less water each day compared to no need to drink more (p<0.01). Unawareness of intake goals was weakly associated with drinking 1129 mL less water each day(p=0.1). Access to water, alternative beverage consumption, and bathroom aversion were not associated with water intake. Unawareness of water volume consumed and low responsiveness to the perceived need to drink more were associated with low water intake. 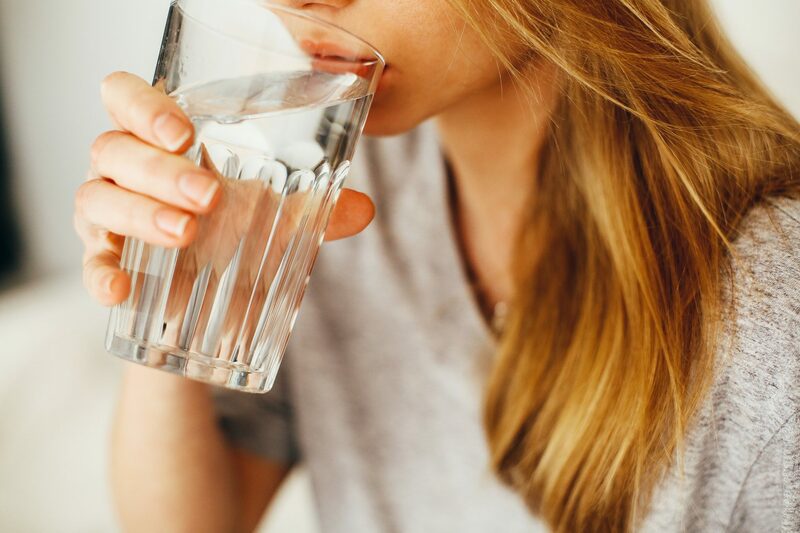 Interventions that help adolescents recognize when and identify how to increase water intake may be effective in reducing stone recurrence.